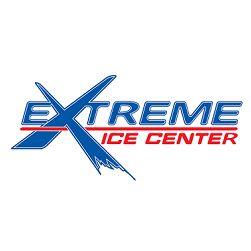 CHARLOTTE, N.C. - March 13, 2019 - PRLog -- Extreme Ice Center is proud to announce that its Charlotte Rush U14AA ice hockey team, with an overall record of 43-16-4, has earned an at-large bid to represent the state of North Carolina at the 2019 USA Hockey National Championships in South Bend, Indiana, April 4-8. This season, the Charlotte Rush U14AA team competed in the Eastern Junior Elite Prospects League (EJEPL), playing teams from New York, Pennsylvania, Delaware, Virginia and Florida. They qualified for the EJEPL playoffs in New York City, winning all three round-robin games and a semi-final game, before losing the final in overtime against the York Devils (PA). Their overall EJEPL record was 17-4-0. The team also competed in the Carolinas Hockey League, finishing as the regular season champions with a record of 13-1-2. At CAHA, North Carolina's state tournament, the Rush beat the Carolina Eagles, the Carolina Stars and the Junior Hurricanes 05 team to earn a spot in the championship, where they lost to the Junior Hurricanes 04 team, which is ranked 10th in the country by My Hockey Rankings. This group of 13 and 14 year olds also competed in four additional tournaments throughout their eight-month season. They won the MLK Tournament in Orlando, Florida and were finalists in the Fall Colors Hockey Tournament in Ann Arbor, Michigan and the Congressional Cup in Washington, DC. The Charlotte Rush are now preparing for Nationals, which includes a major GoFundMe fundraising campaign to help pay for the team's trip to South Bend, Indiana, where, in addition to meeting hockey players from around the country, they will also play at least one game at Notre Dame University. "Hockey is an expensive sport, but particularly so in the south. We have parents who work multiple jobs just to pay for their sons' hockey dreams," said the Charlotte Rush U14AA Head Coach Jason Wiklund. "We have a little over three weeks in which to raise the funds for Nationals, and we really need community support to help make this once-in-a-lifetime trip a reality for these boys, who have worked so hard all season to earn this privilege."